The beautiful High Peak is the most north westerly corner of Derbyshire, nestling between the cities of Manchester and Sheffield. 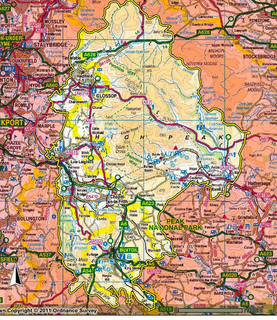 The High Peak covers a wide area taking in rural villages, urban towns and areas of heavy industry. Buxton is a spa town and is home to some of the most magnificent buildings in England. The Buxton Campus of the University of Derby is based in the refurbished Devonshire Hospital, famous for its superb dome. The Liberal Democrats hold one Derbyshire County Council seats; Elizabeth Atkins represents the New Mills and Hayfield Division. The Liberal Democrats hold two seats on High Peak Borough Council; Ray Atkins represents New Mills West Ward whilst David Lomax represents Whaley Bridge Ward. The Liberal Democrats hold two seats on Whaley Bridge Town Council (held by David Lomax and Barrie Taylor).